IT Minister Ravi Shankar Prasad has called for a national movement spearheaded by IT professionals to make India a truly digital society. He urged IT community reach out to the deserving and underprivileged section and make them digitally literate. This, he said, would help the government in achieving the goal of transforming India to a digital society and also catalyse efforts to make all sections of society benefit from government services and initiatives. He said the government has provided two lakh datasets on open data platform to provide an opportunity for innovation to all. He said the government does not encourage data to be available for privileged few only as mass involvement in these initiatives would give better and earlier results. 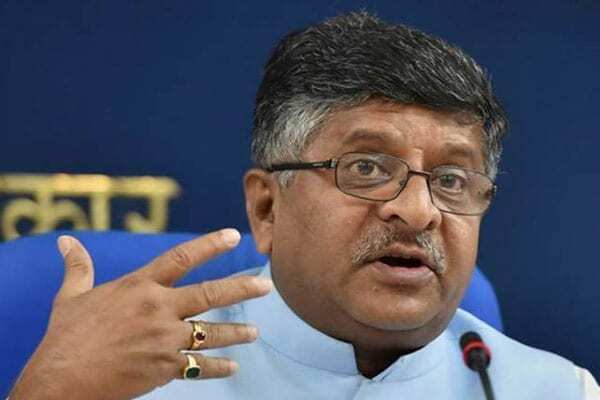 Prasad said the government supports independence of social media, but utmost care should be taken to ensure that it does not rupture the national fabric. With Open Government Data (OGD) Platform India, the country is at the forefront in promoting innovation in Open Data ecosystem. It has been set up by National Informatics Centre (NIC) in compliance with the Open Data Policy whose objective is to provide a platform for proactive access to government-owned shareable data. These datasets are directly published on the platform by the government departments. Till date, OGD India has 2,29,793 dataset resources, 4,431 catalogs contributed by 137 ministry/departments (85 central and 52 states), 1,500 visualisations created, 7860 Application Programming Interfaces (APIs) created, 196 Chief Data Officers (105 Central and 91 States). OGD India has 17.13 million times viewed and 6.22 million datasets have been downloaded.